Hot Citrus Crock Pot Cider - Recipes That Crock! 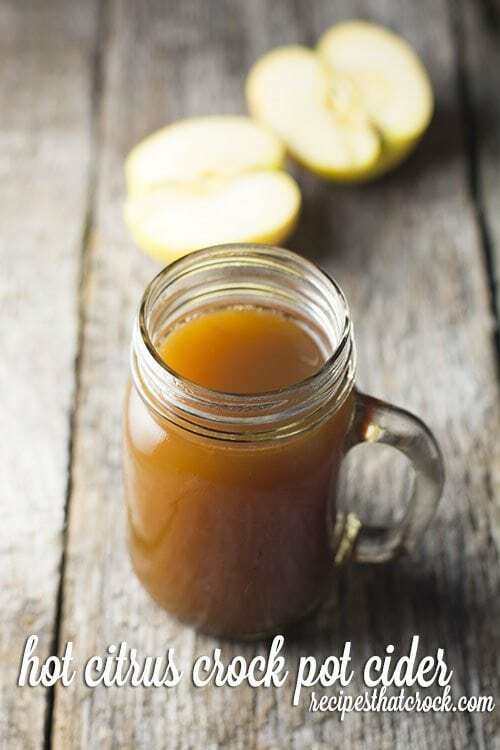 Are you looking for a delicious hot apple cider to serve up on a cold day or at your next holiday party? 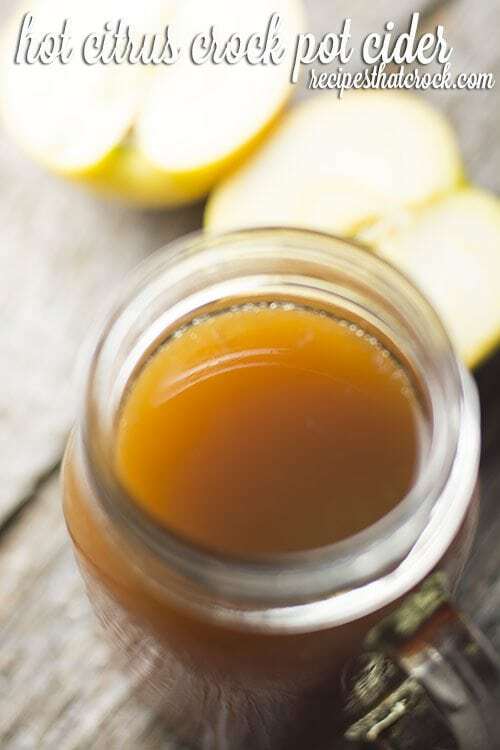 This Hot Citrus Crock Pot Cider has the perfect apple flavor with a hint of citrus! I remember when I was a little girl my grandma had this binder full of handwritten recipes and in it there was a whole section of beverage recipes –all kinds of different punch recipes for different occasions. I was always intrigued with that section (and anytime I had a really good punch at a party 😉 ). So, ever since then I think I’ve always paid special attention when I run across a beverage recipe. Maybe it is because it is somewhat of a lost art these days… not something you see everyday. Oh, but when you do get a nice mug of hot cider or a cup of a homemade punch, it is such a treat! So naturally when I was flipping through Gooseberry Patch’s Slow-Cooker Fall Favorites and saw this Hot Citrus Crock Pot Cider I decided to give it a try (ESPECIALLY considering my addiction to the BEST Hot Chocolate recipe I found in there a while back!). This yummy Hot Citrus Crock Pot Cider has all the yumminess of your typical apple cider with an added hint of citrus. Delish! Pour all ingredients into slow cooker and mix well. Serve in mugs with apple slices. Any crock pot will cook this recipe up nicely. I personally prefer my automatic stirring slow cooker. It automatically stirs every two hours but for this recipe I just hit the manual button when I walk by it to stir things up nicely without ever having to open the lid!